All Milena Kwiecien ever wanted growing up in her homeland of Poland was a horse. Today, the 37-year-old not only has realized that dream, but has one of the most powerful Quarter Horse racing barns in Ontario. Kwiecien (pronounced Fia-chin), who raced her first horse at Ajax Downs in 2014, has gone from one victory that season to 22 wins in 2018, second only to perennial leading owner Christine Tavares. Including wins in the U.S., Kwiecien's horses, trained by Jason Pascoe, won 29 races last year and collected purses of $340,000. It was when she was in her late teens and living in Mississauga that Kwiecien set out to find a riding horse. That first horse wasn't a pony, however, but a Thoroughbred stallion, Majestic Lord, a well-bred, six-time winner who became Kwiecien's riding buddy and pet. Kwiecien, who studied economics and worked in catering in Toronto for 10 years, slowly began to add to her horse family. She met her partner Glenn Young who was shipping her horses, and they began to ride together. Young, who was born in Burlington on the hay farm of his parents that now doubles as Kwiecien's Snow Pony Stables, moved to reining horses and has had a great deal of success in that sport. One of his horses, Gunnagunya, was a reining futurity winner in Hamburg, New York last fall. 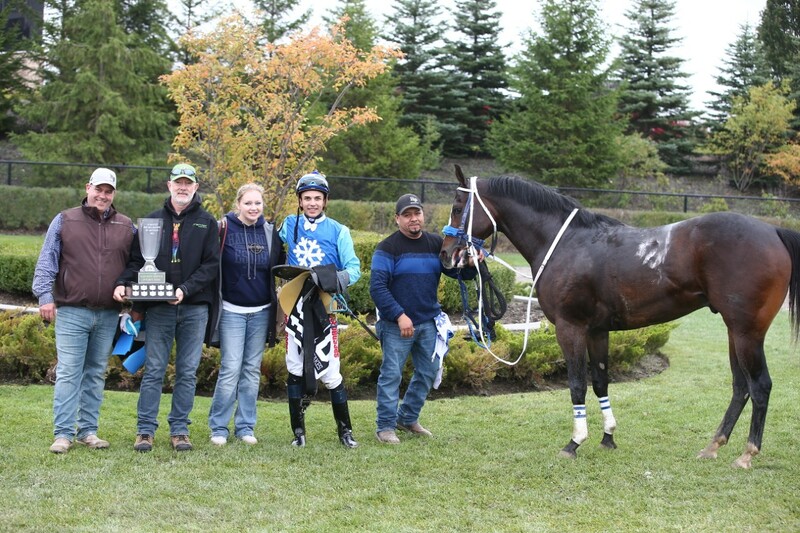 The journey to Quarter Horse racing came about when Kwiecien and Young decided to check out another type of horse, Quarter Horses, at Ajax Downs. Pascoe is a former equestrian rider who was just seven years into his career as a trainer when he started Kwiecien's first horses. In the short amount of time together, Kwiecien and Pascoe have won stakes races with R Painted Pistol, LS Prince, Too Much White, Denali Teller Off (High Point 2-year-old filly in 2016) and last year with High Point champs Spy for the Senate (Male 2-year-old) and Stripper Dust (Female 2-year-old). Kwiecien spends many hours sifting through sales catalogues and eyeing prospects at sales. One of her favourites, Spy for the Senate (also know as Griff), was bought as a weanling at an Oklahoma sale because his looks 'stopped me cold' and the colt shared the same birthday, Feb. 12. Spy for the Senate is one of many exciting horses for Kwiecien this year. And while the majority of the Kwiecien runners, whose jockeys sport her popular bright blue silks with a white snowflake, were plucked from various sales in the U.S., she is excited to get her Ontario-bred program underway. Her first homebred, Chicks Dig Oscar (Harems Last Dash – Taxing Queen) is a 2-year-old training with Pascoe in Oklahoma. The colt is one of 24 Kwiecien has preparing for the 2019 season in the south. There are another 24 horses at the Burlington farm, including her stallion Maryland Magic, whose first foals arrive this spring and who will return to racing again in 2019. Young, who is on the board of Ontario Biomass Producers Cooperative, is anticipating his first crop of Switchgrass that is used to make organic stall bedding. Kwiecien is hoping to not only expand her local breeding program but is hopeful that interest in the sport continues to progress and more new owners will join.